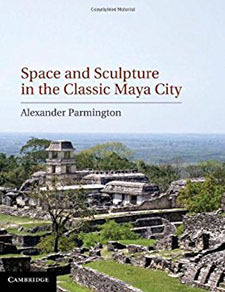 Kaylee R. Spencer reads Megan O’Neil’s Engaging Ancient Maya Sculpture at Piedras Negras, Guatemala and Alexander Parmington’s Space and Sculpture in the Classic Maya City. Both “introduce elements of time and space in discussing how Maya art and architecture operated and expressed meaning” and “focus on viewer experience as an essential feature of the ways art and architecture construct ideology and manipulate onlookers’ movements.” Read the full review at caa.reviews. 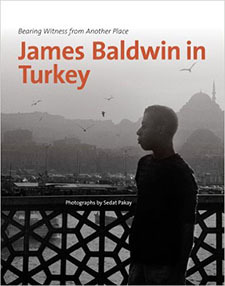 Meta DuEwa Jones reviews the exhibition catalogue James Baldwin in Turkey: Bearing Witness from Another Place, created by the Northwest African American Museum and “based on nearly thirty images of James Baldwin by Sedat Pakay.” Baldwin’s “intimate experiences in Turkey, documented in vivid and arresting images in the book, reveal these as equally important to the complex and composite picture of the artist.” Read the full review at caa.reviews. 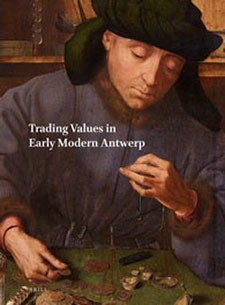 Marisa Anne Bass discusses Trading Values in Early Modern Antwerp, edited by Christine Göttler, Bart Ramakers, and Joanna Woodall, and Jan van Kassel I (1629–1679): Crafting a Natural History of Art in Early Modern Antwerp by Nadia Baadj. The two “successful” publications “attempt to grapple with the question of why Antwerp should matter to the field at large, and they do this by engaging with two trends—the global and the material.” Read the full review at caa.reviews. Why Didn’t Great Painters of the Past Reach the Level of Realism Achieved Today? After nearly a decade of partnership with CAA to offer our members access to their professional resources, Fractured Atlas has decided to discontinue their Open Arts Network as of August 31, 2017. Through their Open Arts Network program, Fractured Atlas artists and arts organizations access to funding, healthcare, education, and more, to help them function more effectively as businesses. However, due to the changing landscape for the arts community and much reflection, the organization has decided to end the Open Arts Network. If you are currently enrolled in the Open Arts Network program (or do so before August 31, 2017), you will get to keep your discount as long as you maintain an active, paid membership. After August 31, 2017, you will not longer be able to access the special Open Arts Network subsidized rate. Additional questions? 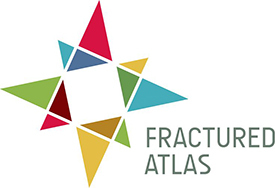 Please refer to Fractured Atlas’s help article for more information. We understand that this is an important resource for many of our members and CAA is actively searching for another healthcare solution to meet our members’ needs. We will keep everyone informed of any updates. If you have any additional questions or wish to share ideas on how our organization can best serve you, please reach out to Membership at membership@collegeart.org. Additionally, you can email support@fracturedatlas.org with any questions or concerns. Antonella Fenech Kroke reviews Maniera: Pontormo, Bronzino and Medici Florence, an exhibition at the Städel Museum, Frankfurt. “The most substantial exhibition on Mannerism staged in Germany,” the show, with “intellectual exuberance,” “provided a unique opportunity to see the disquieting emergence and flourishing of multiples creative perspectives that the term Mannerism has attempted to unify.” Read the full review at caa.reviews. 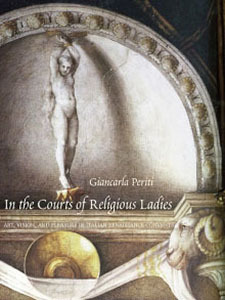 Sally Hickson reads In the Courts of Religious Ladies: Art, Vision, and Pleasure in Italian Renaissance Convents by Giancarla Periti. This volume “about aristocratic nuns and convent patronage offers an interesting characterization of a resulting corpus of ‘seductive images,’” providing “a touchstone for investigations into patrician nuns, their motivations, their artists, and the visual and perhaps didactic functions of such imagery.” Read the full review at caa.reviews. Maria Fabricius Hansen discusses Malcolm Bull’s Inventing Falsehood, Making Truth: Vico and Neapolitan Painting. 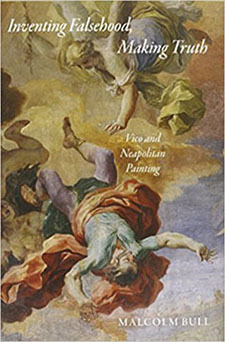 With the aim of seeing Giambattista Vico “through the painting of his time in order to present and discuss a series of major themes within art history,” this “accomplished, concise, and intelligently focused” book is “a strong proponent for the relevance of rhetoric as a kind of art theory of its present moment.” Read the full review at caa.reviews. 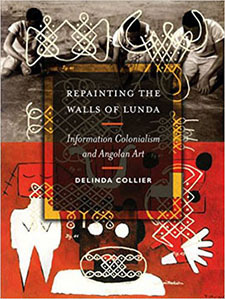 David Riep examines Repainting the Walls of Lunda: Information Colonialism and Angolan Art by Delinda Collier. Centered on a “discussion of the varied intricacies of analog and digital media by tracking Chokwe mural and sand (sona) arts and symbolism,” the text “successfully engages broad theoretical concepts linking art, cybernetics, and media theory, while maintaining its focus on the shifting iterations of Chokwe iconography. Read the full review at caa.reviews. Artist Sam Durant Was Pressured into Taking Down His Scaffold. Why Doesn’t He Feel Censored? Committee members serve three-year terms (2018­–2021), with at least one new member rotating onto a committee each year. Candidates must be current CAA members and possess expertise appropriate to the committee’s work. Members of all committees volunteer their services without compensation. Committee work is not for the faint of heart; it is expected that once appointed to a committee, a member will involve himself or herself in an active and serious way. CAA’s president, vice president for committees, and executive director review all candidates in the fall, and make and announce the appointments in late October, prior to the Annual Conference. New members are introduced to their committees during their respective business meetings at the conference. Nominations and self-nominations should include a brief statement (no more than 150 words) describing your qualifications and experience and an abbreviated CV (no more than 2–3 pages). Please send all materials to Vanessa Jalet, CAA executive liaison, at vjalet@collegeart.org. Kindly enter “2018 Professional Committee Applicant” in subject line of email. Deadline: Friday, September 15, 2017. The Committee on Diversity Practices supports the development of global perspectives on art and visual culture. The committee promotes artistic, curatorial, scholarly, and institutional practices that deepen appreciation of political and cultural heterogeneity, as educational and professional values. To that end, the committee assesses and evaluates the development and implementation of curricular innovation, new research methods, curatorial and pedagogical strategies, and hiring practices that contribute to the realization of these goals. The Committee on Women in the Arts promotes the scholarly study and recognition of women’s contributions to the visual arts and to critical and art-historical studies. It also advocates for feminist scholarship and activism in art, develops partnerships with organizations with compatible missions, monitors the status of women in the visual-arts professions, provides historical and current resources on feminist issues, and supports emerging artists and scholars in their careers. The Education Committee promotes the visual arts as essential human activity and as a creative endeavor and subject of cultural and historical inquiry and critical appreciative activity. It also encourages excellence in teaching at all levels. The committee’s focus is on pedagogy at the higher-education level in art history, visual culture, studio, aesthetics, and art criticism, and on the interface between arts teaching and learning research and practice. The International Committee seeks to foster an international community of artists, scholars and critics within CAA, to provide forums in which to exchange ideas and make connections, and to encourage engagement with the international student community. It also aims develop relationships between CAA and organizations outside the United States with comparable goals and activities and to assist the CAA Board of Directors by identifying and recommending advocacy issues that involve CAA and cross national borders. 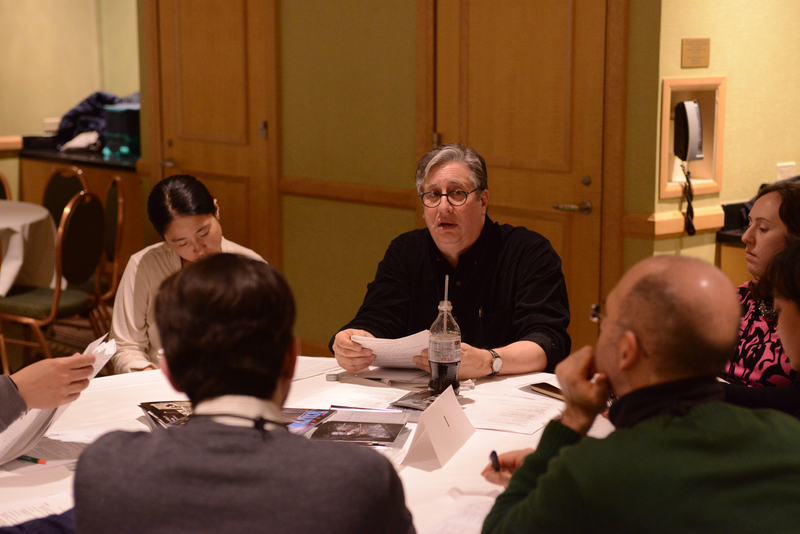 The Services to Artists Committee was formed by the CAA Board of Directors to seek broader participation by artists and designers in the organization and the Annual Conference. The committee identifies and addresses concerns facing artists and designers, creates and implements programs and events at the conference and beyond, and explores ways to encourage greater participation and leadership in CAA. It also identifies ways to establish closer ties with other arts professionals and institutions. To this end, committee members are responsible for the programming of ARTspace and its related events. 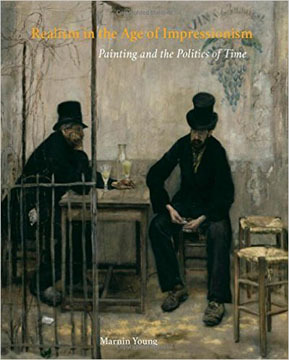 Mary Hunter reviews Realism in the Age of Impressionism: Painting and the Politics of Time by Marnin Young. The author “provides an original, compelling argument about how transformations in the perception of temporality fueled a reengagement with Realist painting in France.” A “smart, engaging” volume, it “will make a lasting mark … on the central role of temporality in the history of modern art.” Read the full review at caa.reviews. 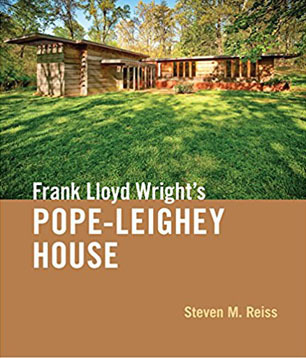 Jane King Hession discusses Steven M. Reiss’s Frank Lloyd Wright’s Pope-Leighey House. This “skillful retelling of the complex history of a 1,200-square foot Usonian house” both “rigorously analyzes site issues” and “reflects on broader topics including changing social attitudes toward housing in the postwar years” and “the nascent yet evolving preservation movement in the United States in the early 1960s.” Read the full review at caa.reviews. 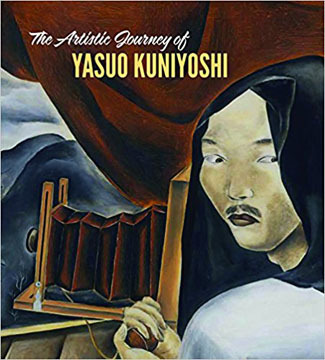 Sybil E. Gohari discusses The Artistic Journey of Yasuo Kuniyoshi, an exhibition and catalogue organized by the Smithsonian American Art Museum. The show “chronicles this important mid-century artist” whose work “combines American folk and Surrealist art with dreamlike perspectives,” highlighting “the figurative dimension” of his art and enhancing “an understanding of the period by presenting its diversity.” Read the full review at caa.reviews. How Are Funders Boosting Engagement across Diverse Communities?